Precision-Tek Mfg., Inc. wanted better organic search engine placement and an overall updated website. 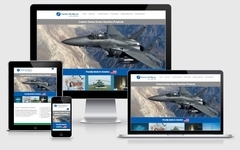 Virtual Vision created a new responsive design and enhanced their prior lackluster search engine optimization. Since turning the site live you can now find Precision-Tek Mfg., Inc. on the first page of Google for the service they provide.